3D printing, a method to construct complex 3-D structures through layer-by-layer approaches, offers great power and flexibility to allow on-demand control of material configurations thus has great potential in tissue engineering applications. Although 3D printing has been very successful in creating biomaterial scaffold (without cells) with custom designed geometries, its translation into creation of “live tissues” remains a significant challenge. In addition, maintaining the viability of thick tissue construct for tissue growth and maturation after the printing is challenging due to lack of vascular perfusion. In this talk, I will report the development of the 3-D bioprinting technology capable of providing on-demand control of live cells, extracellular matrix and growth factors in pre-designed 3-D patterns. Using this technology, we first developed a method to create a functional in vitro vascular channel with perfused open lumen within thick matrix. The fabricated vasculature has a tight, confluent endothelium lining, presenting barrier function for both plasma protein and high molecular weight dextran molecule. The fluidic vascular channel is capable of supporting the viability of surrounding tissue up to 5 mm in distance at 5 million cells/mL density under the physiological flow condition. To create multi-scale vascular network, we constructed larger (lumen size of ~1mm) fluidic vascular channels and then created adjacent capillary network through a natural maturation process, thus providing a feasible solution to connect the capillary network to the large perfused vascular channels. In this model, microvascular bed was formed in between two large fluidic vessels, and then connected to the vessels by angiogenic sprouting from the large channel edge. The biofabricated vascular network uses only cells and biological matrices thus allow the native vascular remodeling in the system. This method has a great potential in engineering vascularized thick tissues and vascular niches, as the vascular channels are simultaneously created while cells and matrices are printed around the channels in desired 3D patterns. It can also serve as a unique experimental tool for investigating fundamental vascular biology under 3D dynamic conditions. Finally, in this talk, I will also illustrate our recent work applying the 3-D bioprinted vasculature to model glioblastoma-vascular interactions and cancer invasions. 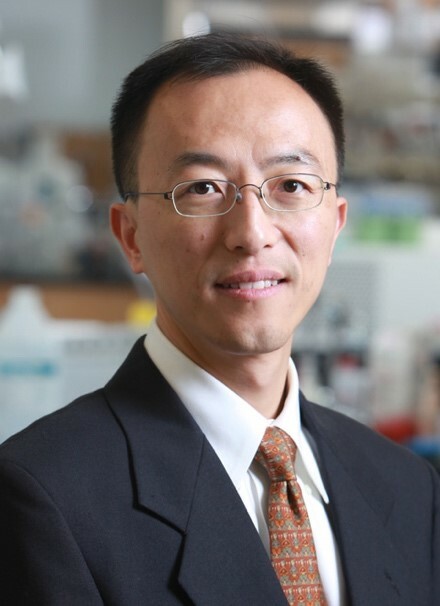 Dr. Dai is currently an Associate Professor in the Department of Bioengineering at Northeastern University. Dr. Dai received his B.S. and M.S. in Mechanical Engineering from Peking University, Ph.D. in Biomedical Engineering from MIT’s HST Program (Harvard-MIT Division of Health Science and Technology). He completed his Post-doctoral training in Vascular Biology at Harvard Medical School (Center for Excellence in Vascular Biology). Current researches in his lab focus on the 3-D bioprinting technology, stem cells and vascular bioengineering, and are funded by major grants from NSF, NIH and American Heart Association. Dr. Dai received the Scientist Development Award from American Heart Association, Faculty Early Career Award from National Science Foundation, Rising Star Award from Biomedical Engineering Society, and Institute’s Faculty Career Award (RPI).